Looking for a warmer destination to visit in the colder winter months? After spending a few winter months in southern Germany, we were ready to board a quick flight and find some sunshine and warmth! The Canary Islands are an easy 3-hour flight from Stuttgart on TUI fly. 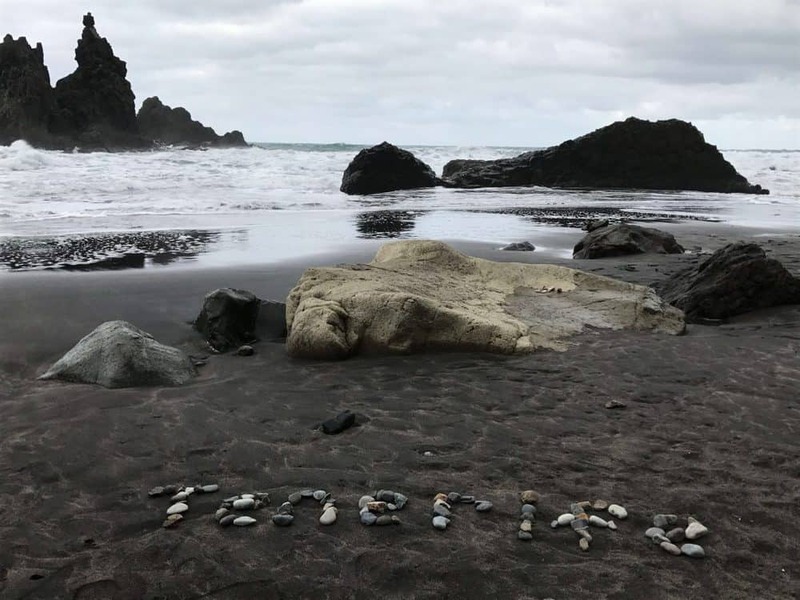 Below I’ll share all of our favorite things to do in Tenerife with day by day information. From the best places in Tenerife to family friendly attractions and the best Spanish food! 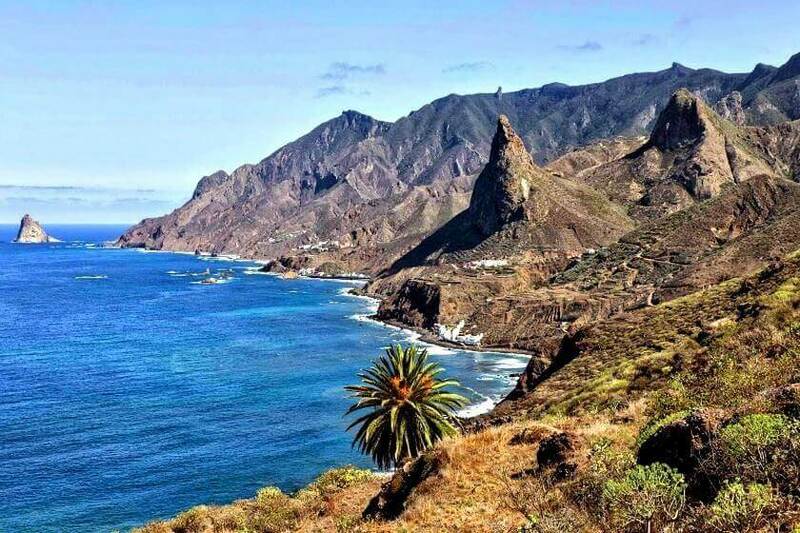 Why did we pick Tenerife, Canary Islands? 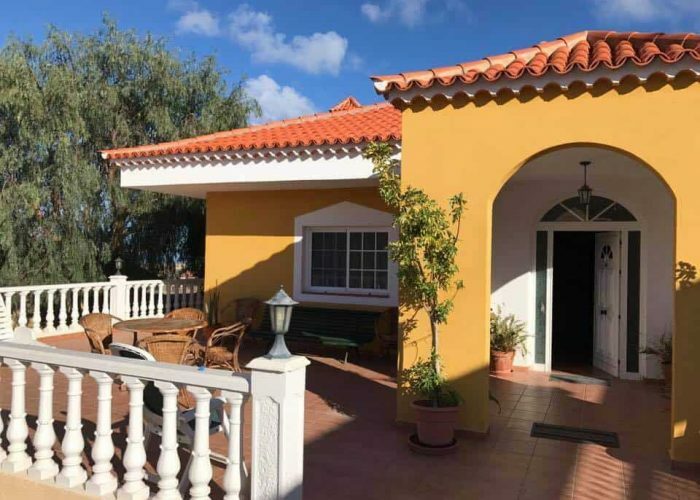 Tenerife was an ideal choice because it is a collection of islands at the southernmost point of Europe. The islands are a part of Spain and located just off the west coast of Africa. During the winter months, it is the warmest area of Europe, warmer than Malta and Majorca with its southernmost location. In February, the weather was in the ’70s, and although it wasn’t ocean swimming weather, we enjoyed some really nice days on the beach and even played a waterpark without wetsuits! 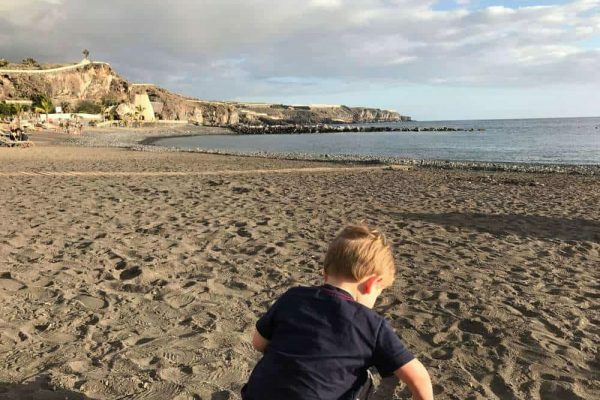 We picked Tenerife for its variety of activities and kid-friendly adventures. 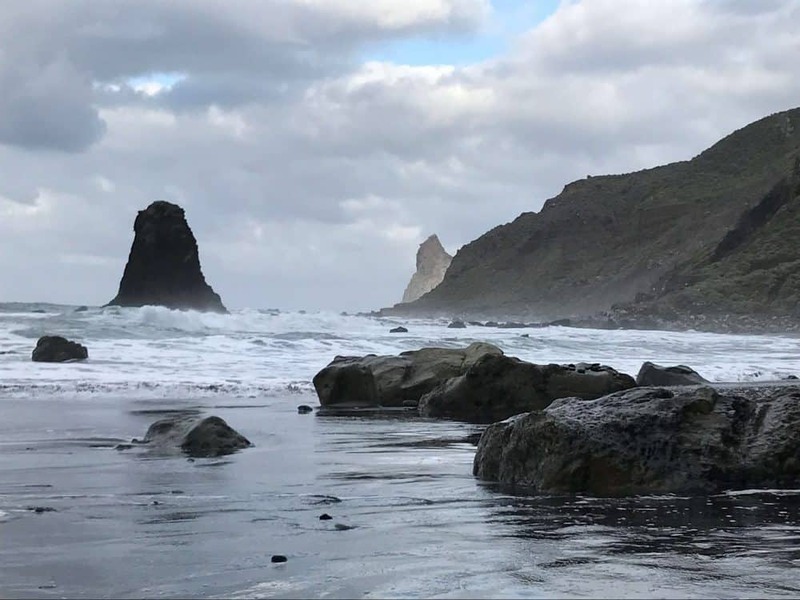 Tenerife has a wide variety of landscapes including a desolate landscape near the Volcano, black sand beaches on the north shore and lush gardens to visit. Its sandy beaches were also a huge draw since many beaches in Europe are rock or pebbles. We decided to take advantage of a long weekend in February and extended our trip to a 5-night stay. We didn’t want to leave! The weather in February was perfect with highs in the 60’s and low 70’s. It may not seem like it’s that warm, but when you are arriving from Germany, and it’s highs of the ’20s and ’30s, that temperature difference feels perfect. The island was not overly crowded with tourists and the prices for lodging, rental car and flights were great. How did we get to Tenerife? We were living in Stuttgart, Germany at the time. TUI Fly was an easy choice with their inexpensive fares and direct flights from Stuttgart to Tenerife South. 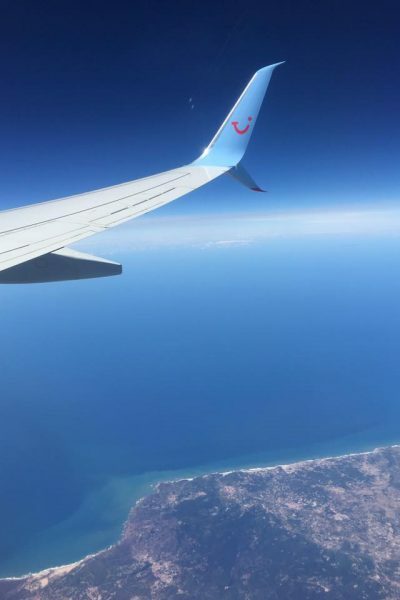 We had a great experience using TUI Fly. The cabin crew gave our son a fun blow up ball, which was used frequently on the beach and our flights were smooth sailing. We did have a delay leaving Tenerife, but that was due to an unforeseen event with a passenger on the incoming flight, so no fault of TUI. We paid just over 500 euros for two adults, one child, two suitcases (both ways) and meals on the plane. You could easily save a bit of money with less luggage and bring your own meals. Our flight prices were only around 350 euros total. We decided that we wanted to explore the entire island, so a rental car was a must. Both my husband and I are experienced with driving a manual vehicle but note that the island is hilly, so if you aren’t comfortable driving a manual, I’d highly recommend paying a bit extra for an automatic. We rented from Autoreisen Rent a car and didn’t have any complaints. The majority of the rental car companies were a quick walk straight out of the terminal out into the rental car/parking lot area. 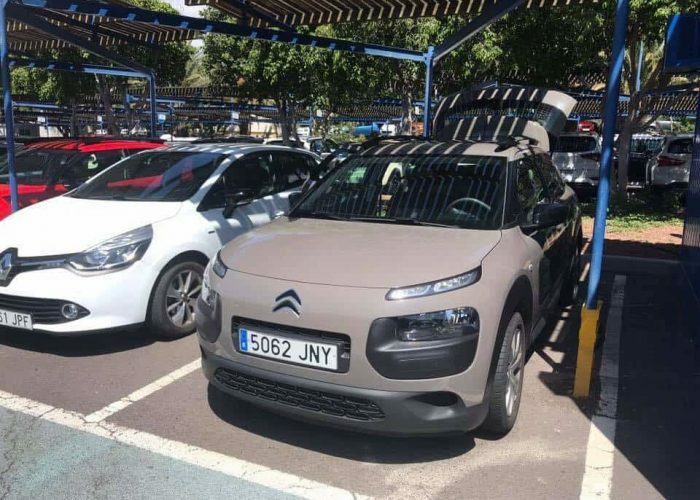 We paid 85 euros for a Class C rental car for the 5 nights and 6 days of our trip. That’s a steal if you ask me! The car was clean and in excellent running condition. The staff was helpful with pick up and drop off. We did see the car seats that you could rent from the company, and they looked clean. We don’t rent car seats from car rental companies, so we brought our own, but I thought it was worth mentioning. I’m all about all-inclusive resorts… except when I want to explore, then I feel like I’m paying a bunch of money for a resort that I’m hardly spending any time at. For this trip, we elected to split a large 4 bedroom house with a heated pool with friends of ours. We met a great couple when we first moved to Germany, and they became our traveling buddies. We both have boys a year apart and only children (they added a sweet baby girl this past November). The boys made for perfect playmates and traveling with friends meant easy babysitters for date nights. Win-win! Want all the details on the vacation rental? Here is the link! The house was pretty amazing. 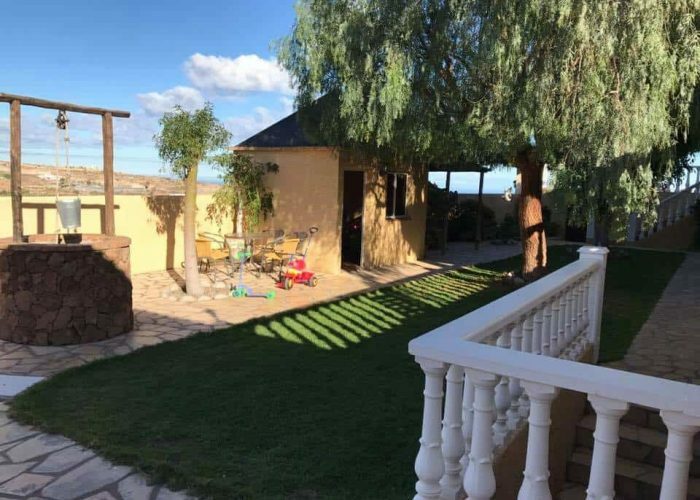 It features three large bedrooms with multiple beds and another “bedroom” located at the back of the house with additional beds. There is a large living area with attached kitchen (well stocked). The two car garage was converted into a game room with pool, table tennis and a large outdoor kitchen with brick fire oven. There is also an additional full bath, which is perfect because it is located just above the pool. The heated outdoor pool is excellent for a dip, and there is also a large grassy area with a shed stocked with pool and outdoor toys. Seriously, if you have kids, this is the place for you! 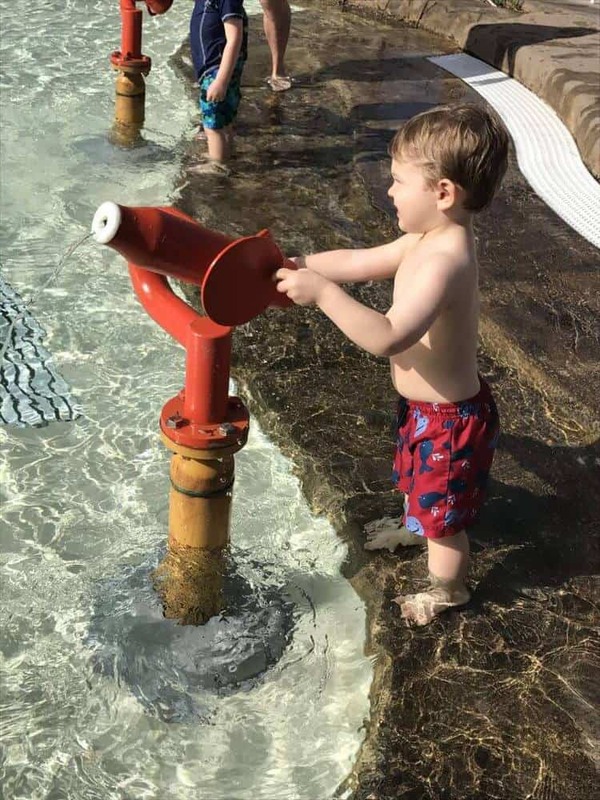 The pool is NOT gated, so if you have little ones, you’ll have to keep your eyes open. But the front of the door is located a bit of a walk down the hill to the pool, so there isn’t instant access. If you are worried, you can lock the front door (with a key) or install this easy to use door alarm. Use double sided sticky tape and attach it to the door. An alarm will sound when the door opens, a perfect compromise and added security. The entire property is also gated with parking inside the gates, so it was nice and secure. It is located about 20 minutes from the airport up the hillside. Also, easy access to the highway to venture around the island and there are multiple grocery stores just down the hill (including a Lidl). What did we pack on our travels to Tenerife? We try to minimize the amount of great we bring, but with little kids, it isn’t always easy. Here is the list of the items we brought with us and why. A Mix of Clothing: Tenerife has a wide variety of temperatures on its island. Ranging from freezing up on Mount Teide, to warm at the beach. The evenings can also get a bit cool, especially in the Winter, so bring a light jacket to stay warm. Stroller: The stroller was essential on this trip, especially when walking around the theme parks and exploring the local towns. Our son was still taking naps at the time, so it doubled as a bed on the go. We travel with our City Mini GT in a padded stroller case. After over 20 flights, it has held up with zero damage and the case fits items such as extra diapers, wipes, blankets and more. Car Seat: We don’t rely on rental car seats (because you never know the history). It’s a pain, but we checked a travel car seat for the first 3 years. After that, we purchased a Ride Safer Travel Harness (which was a game changer)! Our car seat was only used for travel, and we always used a padded car seat bag with backpack straps for easy portability. Kids Items: our suitcases also contain a few books for bedtime stories, music for our son’s room to provide some familiarity (also diminishes surrounding noises), and a few small toys (like a play-doh set and cars/trucks). 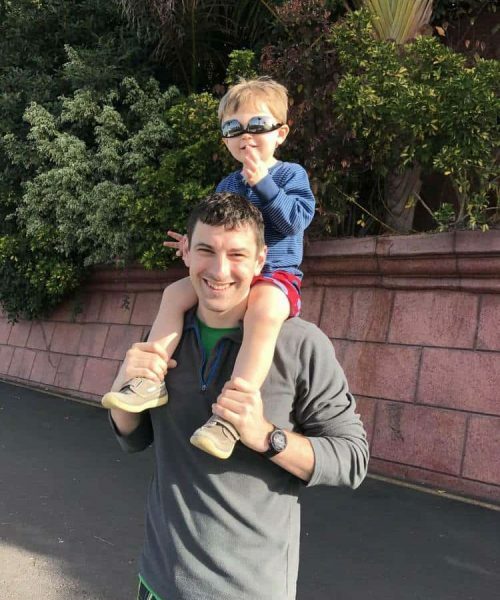 If you want to read more about the gear we love to travel with for children of all ages, head over to our Best Gear for Travel with Kids. Our first full day in Tenerife started out with a trip to Siam Park. Siam Water Park is one of Europe’s best waterparks and is rated the #1 waterpark in the world! It is open 10am-5pm in February and is located in Santa Cruz de Tenerife. It is one of the best places in Tenerife to combine the wam sunshine with the cooling waters. If you drive, you’ll pay 3 euro to park. Be sure to arrive early to get a parking spot. Otherwise, you’ll be hunting in an adjacent neighborhood, and then you’ll have a bit of a walk. Be sure to bring towels! We had a swim bag packed into our luggage, which made it easy to haul any needed supplies and hide drinks and snacks inside the towels. Food is expensive in the park, typical for theme/waterparks. If you want to rent a wetsuit in colder weather, it is 5 euros, and you can rent your wetsuit near the locker rentals. We really enjoyed our visit to Siam Park. We spent most of our time in the kid’s zone, but my husband and I took turns running off to ride the larger and faster water slides. We spent most of the morning playing and then enjoyed a nice lunch inside the park. The food was expensive, as to be expected, and it was typical fare (burgers, fries, chicken nuggets). We also grabbed some ice cream before exiting. 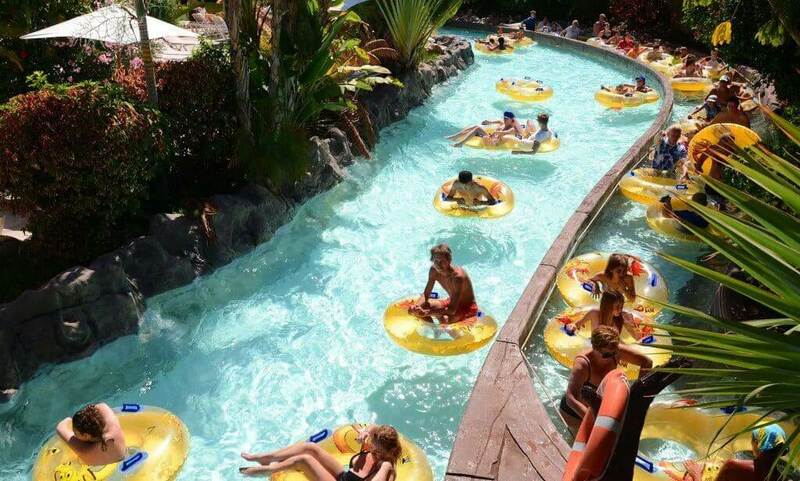 It would be easy to spend an entire day at Siam Park, Water Kingdom, Tenerife. Siam Park is one of the largest aquatic theme parks in Europe and features 14 unique water attractions including the Tower of Power, The Dragon, Mekong Rapids, an Adventure Land set in its own tropical paradise, and a HUGE man-made beach with wave pool and even sea lions. – To fully appreciate all the attractions, you need a full day, if not multiple days! – I’d recommend water shoes if you are visiting during the warmer months. The ground can be scorching and waiting in lines can easily burn your feet. If you forget them, you can purchase water shoes and borrow wetsuits (for a fee) on cooler days. They do offer wet suits for toddlers. 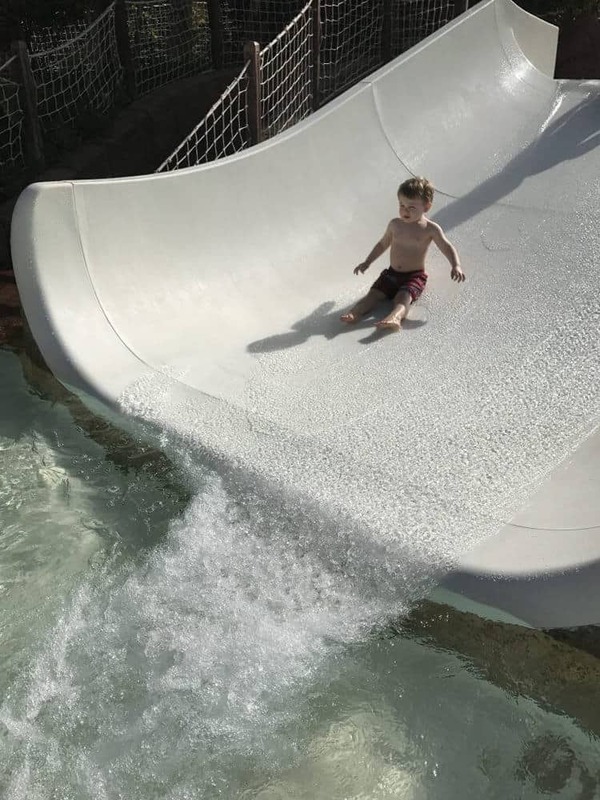 We ended up only spend 1/2 a day at Siam Water Park because we were traveling with friends and we wanted to meet up to let the kids take naps and explore the Los Cristianos beach. We started off with a nice seafood lunch at Abordo before exploring the beachwalk along Paseo las Vistas. 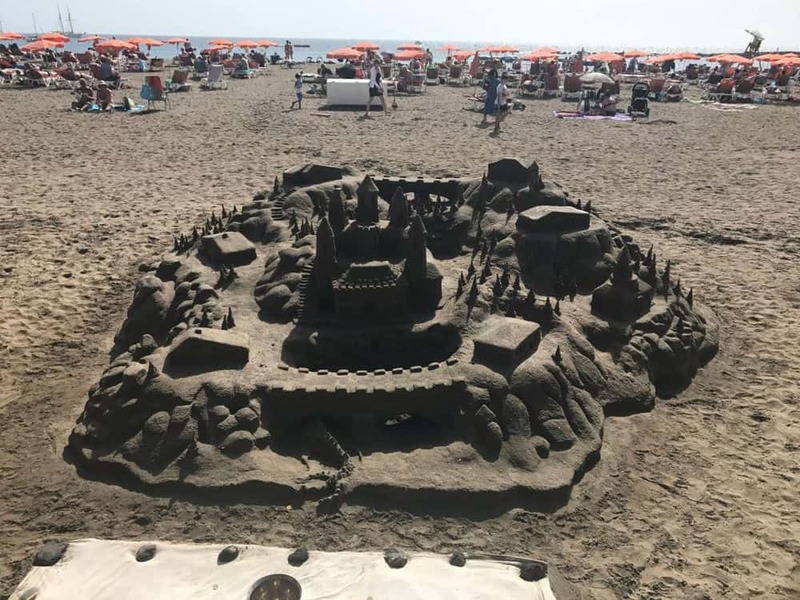 It is a nice wide boardwalk with shops, plenty of places to get some gelato and sandcastle builders. Check those out below! The walk along the boardwalk takes about 20-30 minutes, or longer depending on how much you stop. Los Cristianos is a popular beach town, and is one of the top places to visit in tenerife so you’ll notice more crowds, and lively evening entertainment. If you are day visitors, like us, and you want to enjoy the beach, bring a few euro for claim a beach chair. If you want to go for the low cost option, bring your own towel and find a nice palm tree. 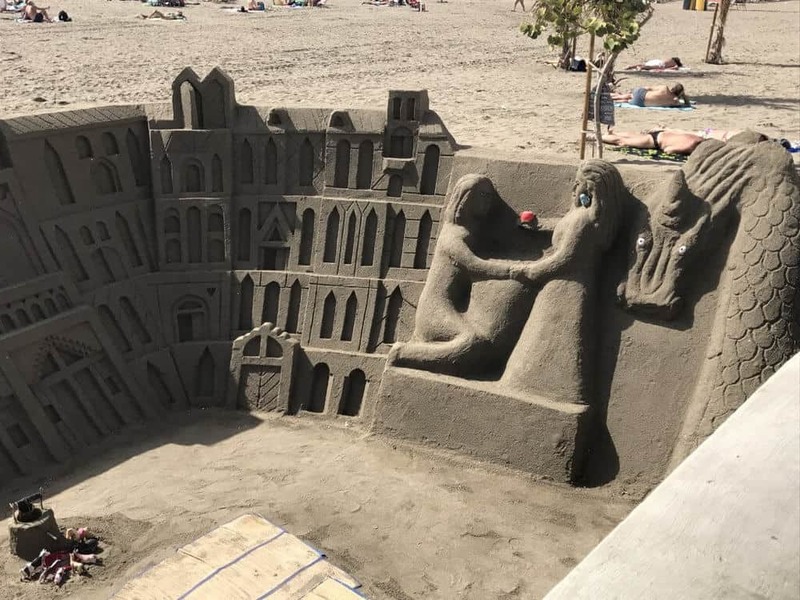 There is plenty of sand for everyone! We decided to head back to our vacation rental to enjoy our heated pool and cook up a nice dinner with friends. 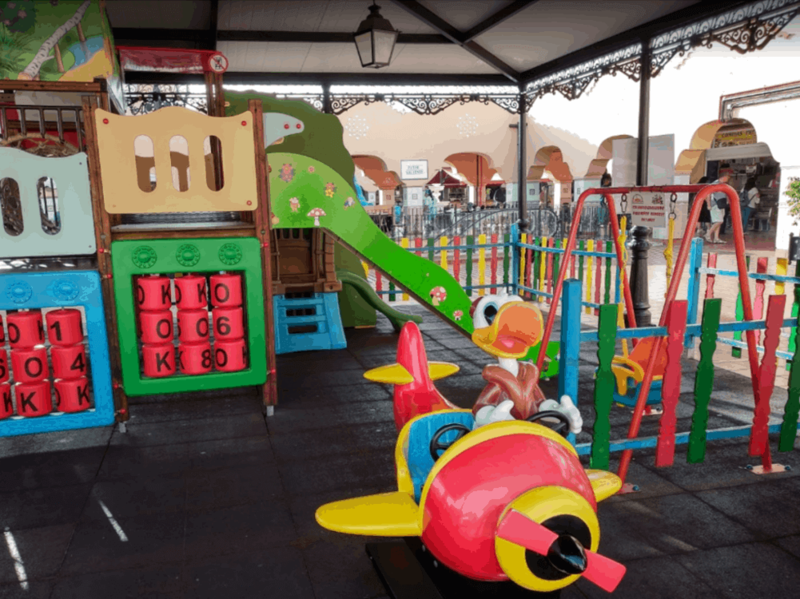 -If you are traveling with kids, there is a playground just outside the market, as well as a children’s play area inside. -Bring cash to pay for your food and produce. 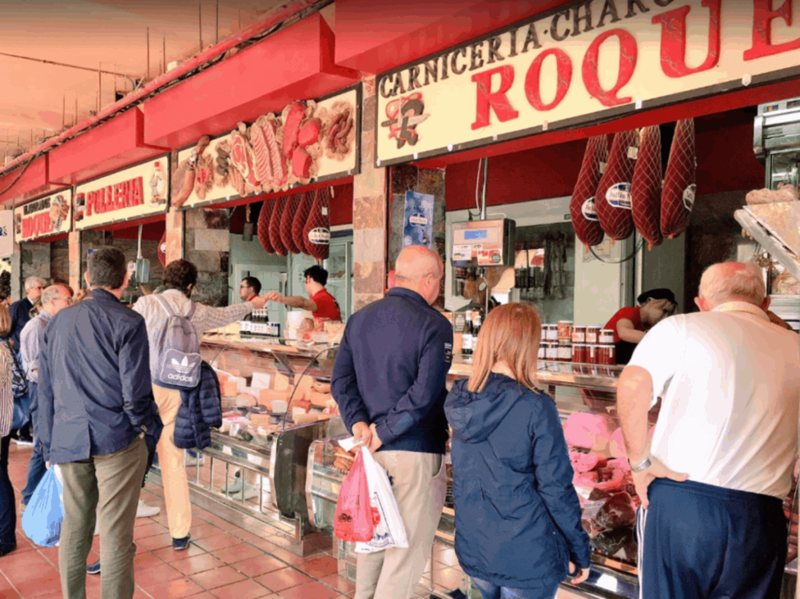 After our visit to the market, we wanted to linger over Tapas (while the kids took a nap). It was a short six minute walk and there were plenty of tables to sit outside. I highly recommend getting a variety of plates and sharing. 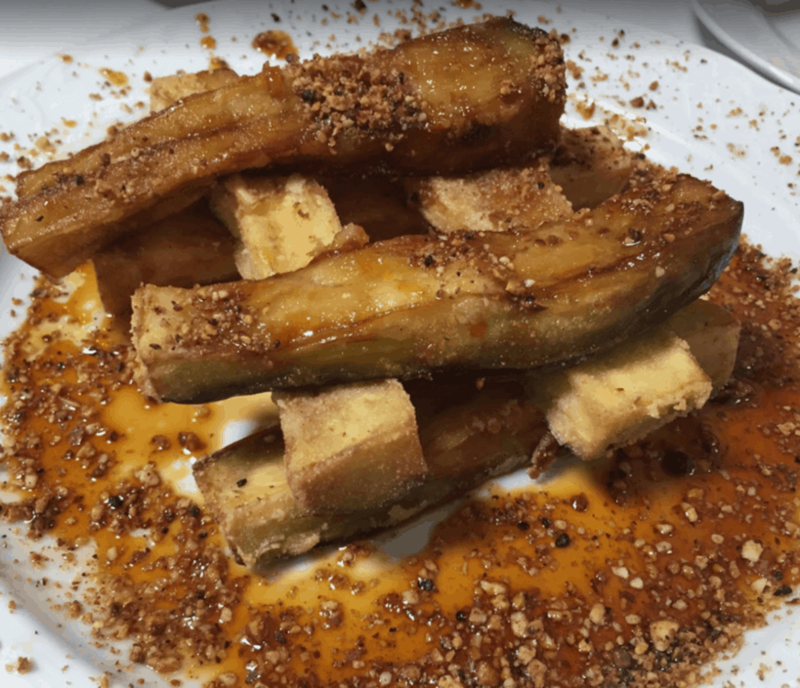 My favorite was the eggplant with drizzled honey and nuts accompanied by a nice glass of house wine. -Walk around the Parque García Sanabria , the largest public park in the Canary Islands. This botanical garden is the perfect place to discover plant species along with cheerful fountains, sculptures and gazebos. 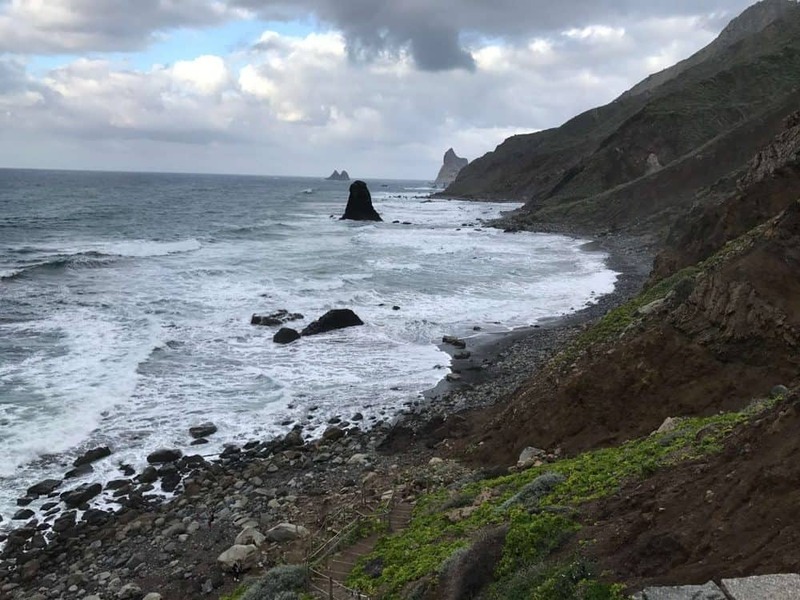 After a wonderful morning and early afternoon in Santa Cruz, we were reading to head into the mountains and experience the northern tip of Tenerife. The beach Benijo is one of the most spectacular beaches in Tenerife. The best part is that you’ll likely be the only tourists on the beach due to its remote location, but it can be said that it is one of the most charming parts of the island. 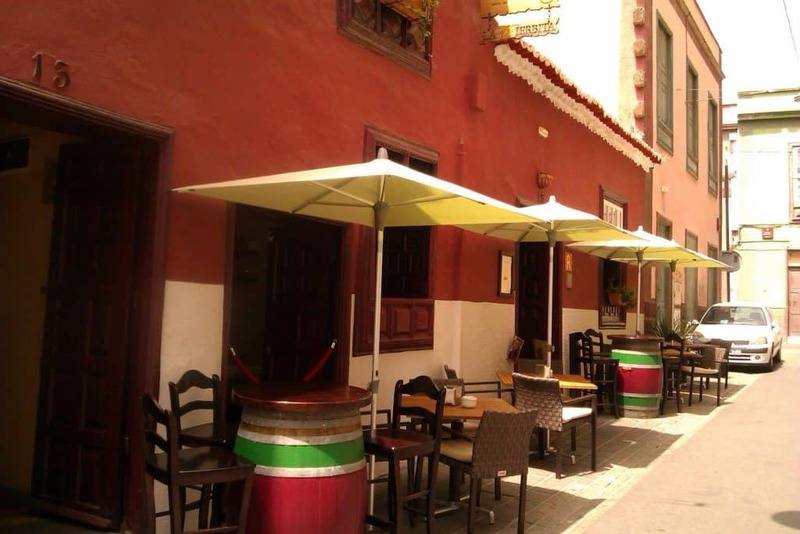 -Find parking near the restaurant El Mirador. -Try to visit during low tide to maximize the amount of sand visible. We wanted to start off the day exploring Teide National Park. This mountain is Spain’s tallest peak and an absolute “must see” if you are visiting Tenerife. It is easy to reach from either the North or the South, depending on where you are staying. It was about a 45 minutes drive from our vacation rental. 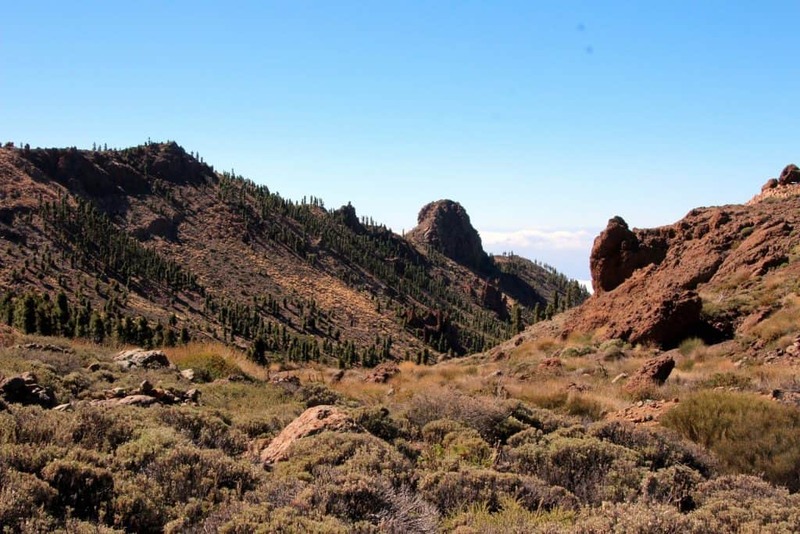 Teide National Park is a delight with it’s array of vegetation ranging from thick pine forest to barren deserts. Be sure to visit one of the visitor centers. El Portillo is in the Northeast part of the park and focuses mostly on the environment, geological importance and the living animals and plants in the area. But it also has interactive displays for the kids and information about the volcano! There was a great section with buttons to press and items to touch inside a fake lava tube, perfect for little explorers. If you are a plant lover, be sure to check out the adjacent botanical gardens that is free of charge. 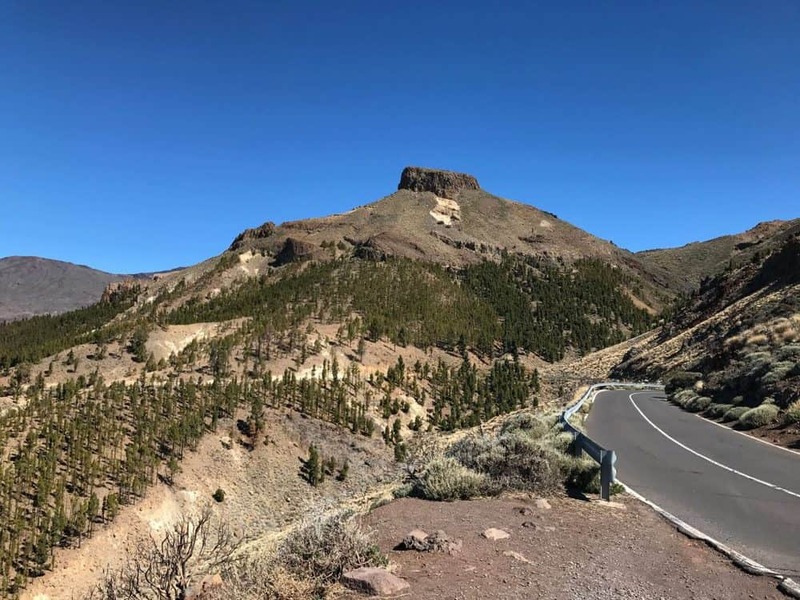 Be sure to head all the way into the park to the parking area below the cable car (Cañadas del Teide, 38300, Santa Cruz de Tenerife, Spain). 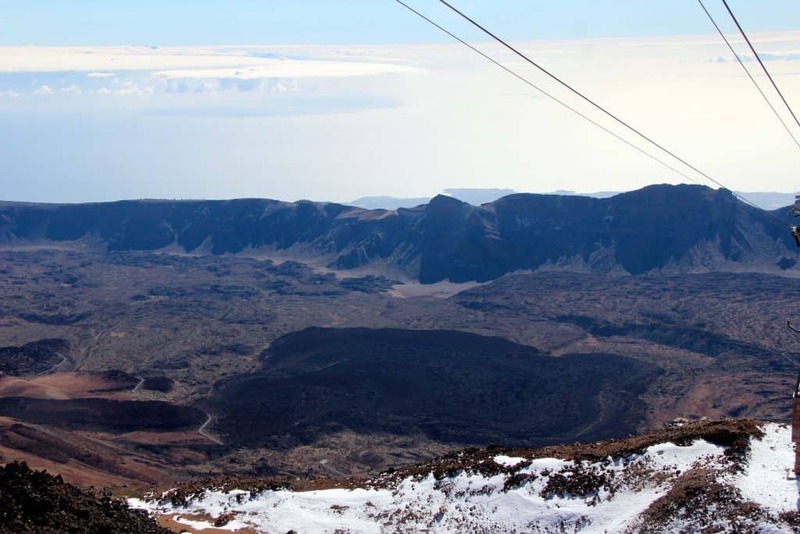 In eight minutes you’ll be standing on the top of a dormant volcano. The views are amazing, but watch for any altitude sickness in the little ones. The cable car to the summit is actually not recommended for children under the age of two. No one said we couldn’t bring the kids in our group, we had a little one around the age of one. If we weren’t traveling with children, I would have booked one of their evening programs. It is said that stargazing on top of Mount Teide is some of the best in the world. There are many tours offered such as “Sunset and Stars” where you watch the sunset from the summit, enjoy a gourmet dinner and then do some stargazing. If you are really interested in stargazing, be sure to book a tour of the Teide Observatory, which is the worlds largest observatory! After visiting the top of the dormant volcano, we decided to head back down and drive back towards the South. We stopped along the way to explore some of the paths and vegetation. 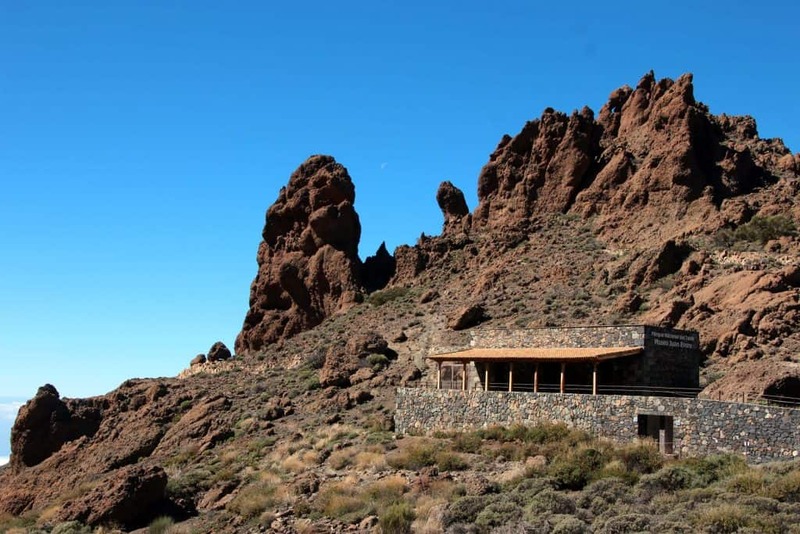 If you are looking for an easy hike to stretch your legs, be sure to stop near Parador de Cañadas del Teide. Located just across from the hotel is a parking area where you can walk towards Roques de García. My son enjoyed calmbering over the rocks and looking for little bugs. -Teide National park is 3718m above sea level and roads can be closed due to snow in the winter. Be sure to bundle up! -Fun Fact: Teide National Park has been used for multiple movies, including Clash of the Titans. -If you are visiting in the summer, be sure to buy your cable car tickets online, with 4 million visitors each year (the majority in the summer), tickets can sell out. 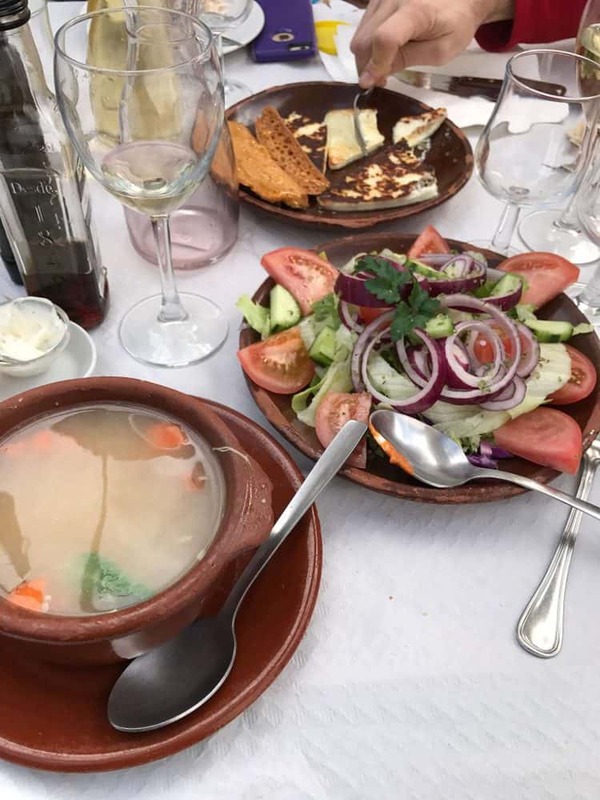 We had worked up quite an appetite, so we headed South to Restaurante Casa Pana located in the town of Vilaflor. This restaurant is a gem and is highly recommended. 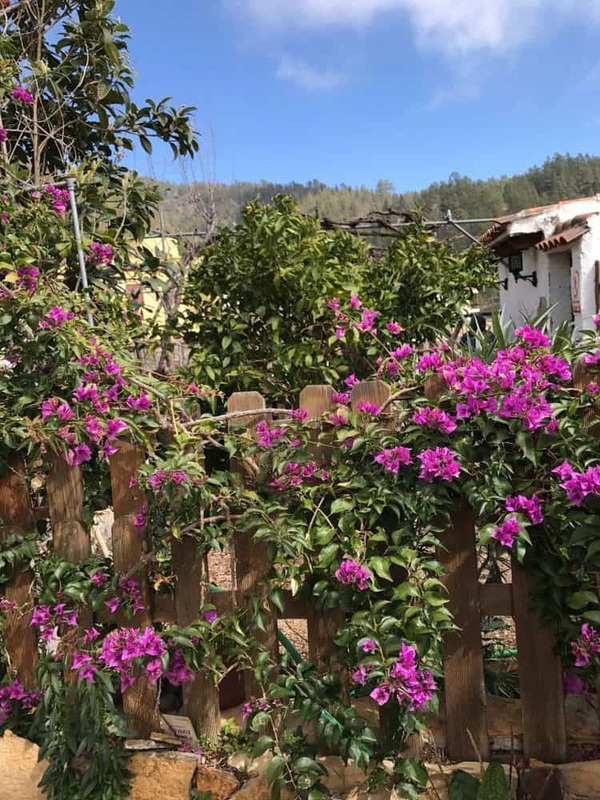 We were seated on the terrace surrounded by views of the valley and flowering bougainvillea. As a group of friends, we ordered quite a few plates to share. Prices were reasonable, the food was delivious and the service was great. We lingered quite awhile aover wine and desert. In true vacation mode, we headed back to our vacation home to spend the late afternoon in the pool, playing with the kids and relaxing. We were really enjoying the warmer temperatures. We decided to hear to Loco Parque. Loro Parque opened in the 1970s and it’s focus was on parrots, hence the name: Loro Parque translated in Spanish means Parrot Park. The park still has its fair share of parrots, but has morphed into much more. 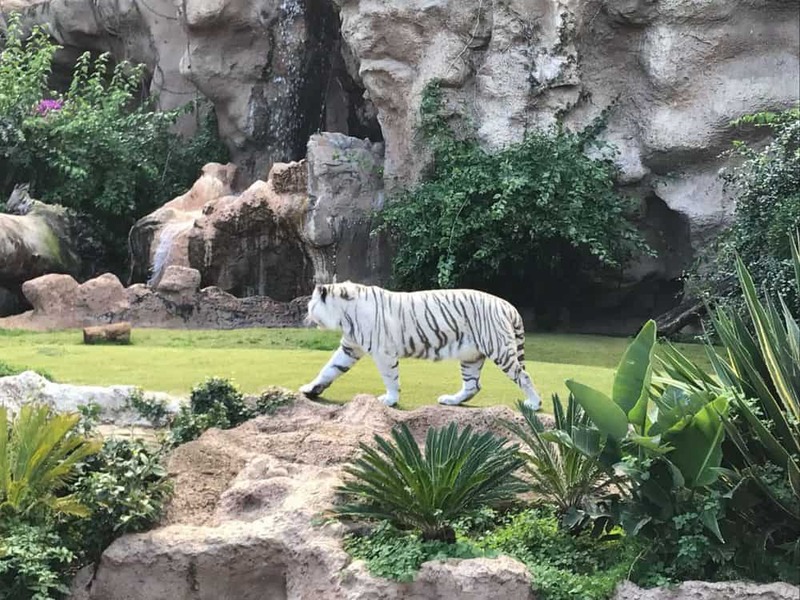 It is an extensive park with both a zoo style feel and an aquarium. Word of Note: We didn’t really do our research before we headed to Loco Parque. The park features multiple animals shows including controversial whales. Please do your own research before deciding whether or not you want to visit. Loco Parque is quite large at around 33 acres of park land. Some of our favorite areas included the penguins with the moving walkway. 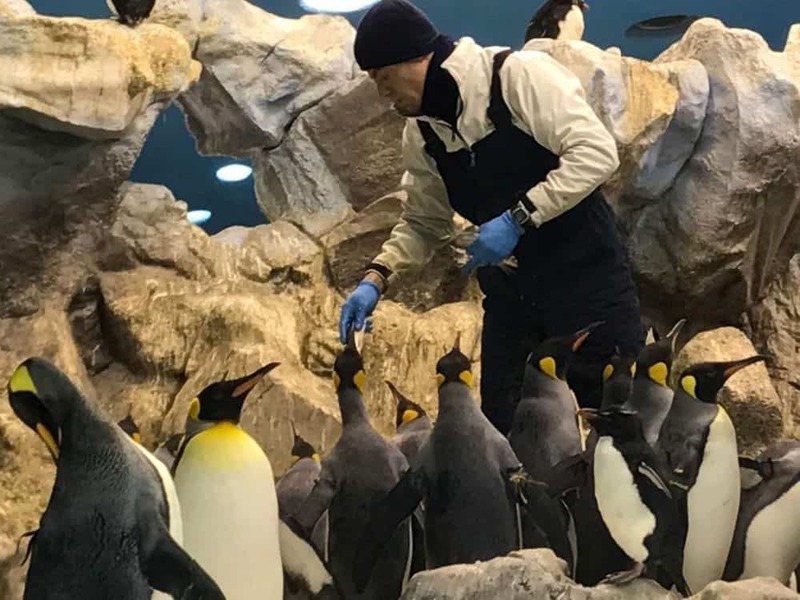 It was feeding time, so we watched as the staff fed each penguin their fish for the day. 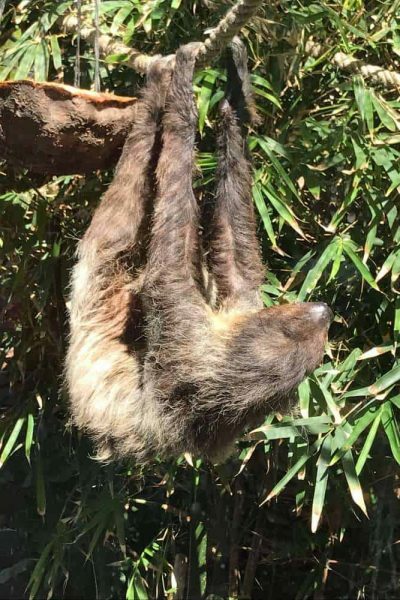 The animals throughout the park were quite active and the enclosures were well kept and large, but again, I understand many are against zoo’s and aquariums. My son really enjoyed the children’s treetop climbing zone. It was perfectly situated next to a little cafe, so i grabbed a bit of food while my husband enjoyed watching our son clamber around the rope bridges and tunnels. Another favorite was the parrot area in Katandra. 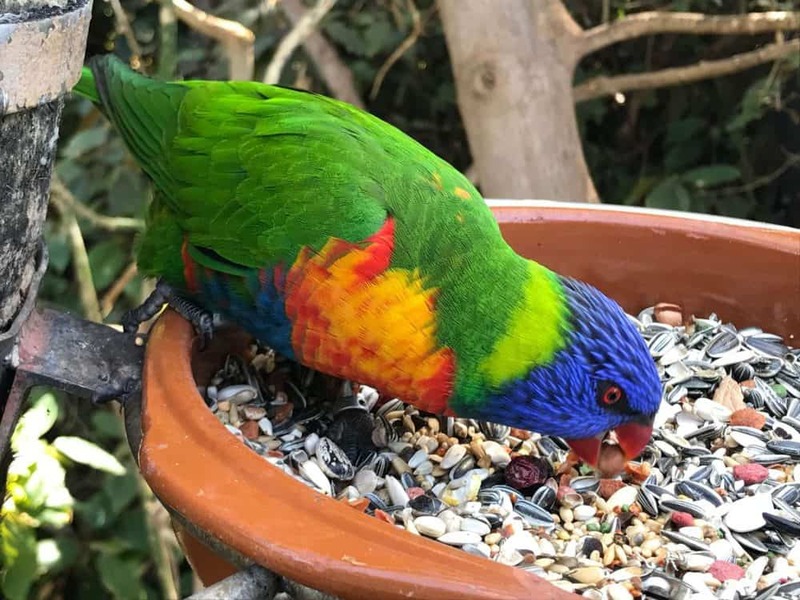 You can get up close with the beautiful parrots at the feeding stations. The park is really well laid out with easy stroller and wheelchair access. There is a wide variety of food available for purchase from sit down restaurants to small cafes with typical fare. -If you want to see the shows, I suggest heading to the back of the park to see the Orca and dolphin show at the beginning of your visit. 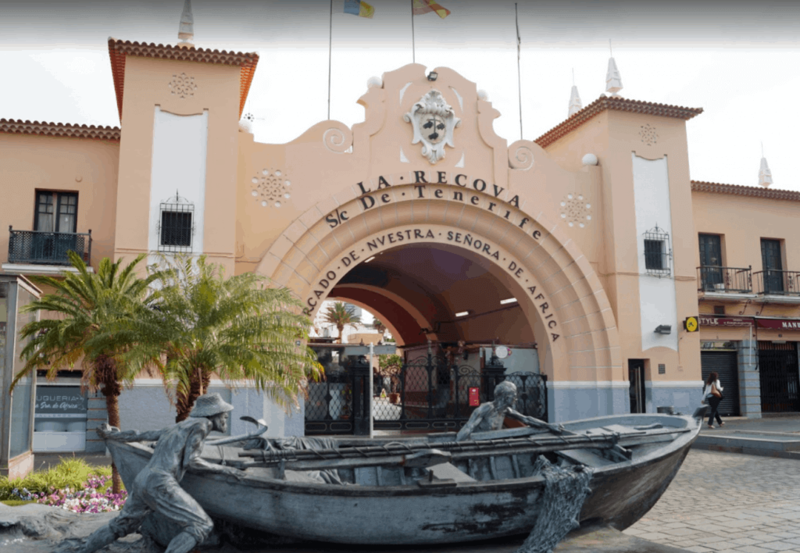 -There is a free train that runs between Reyes Católicos and Loco Parque. We were supposed to head to the airport, but our flight ended up getting delayed, so we knew we would have a few more hours. We wanted to stay close to the airport and soak up a bit more of the beach and sun, so we ended our trip to Tenerife with a trip down to Playa San Blas. There were plenty of nice resorts and we found a quiet beach with perfect sand to play a bit before our flight home. 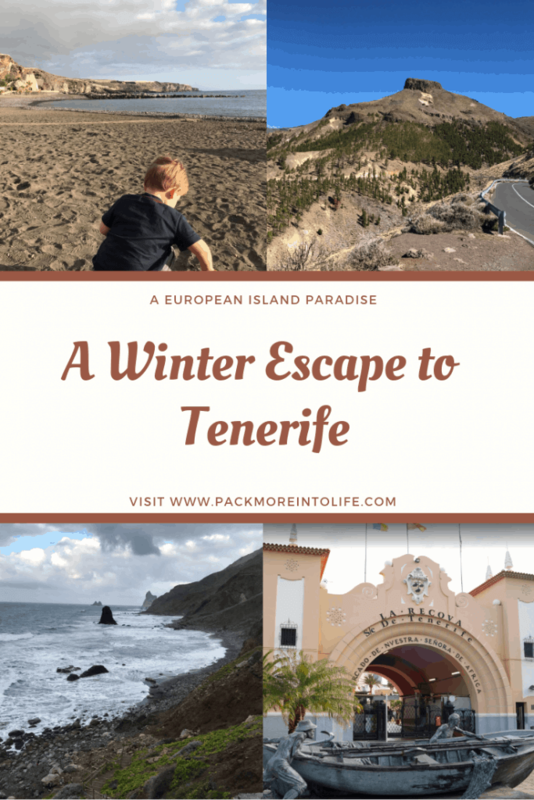 Tenerife was perfect as a short escape from the winter blues to the warmth and sun of the islands. 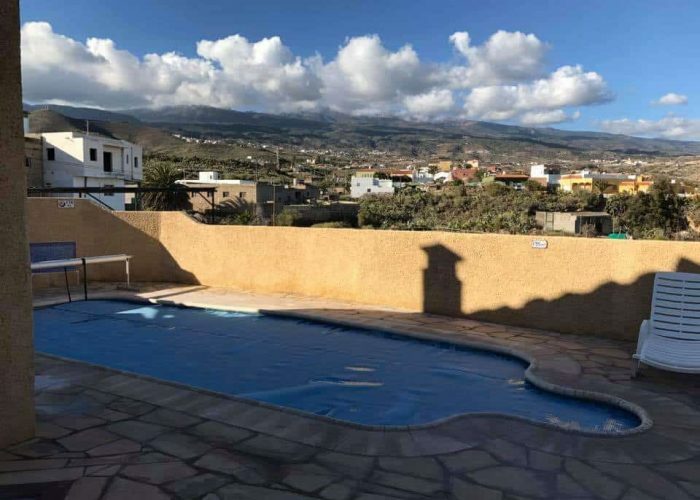 Tenerife offers plenty to see and do, or you can easily find an all inclusive resort to recharge and relax. It is also the southernmost point in Europe, making it the best destination for families. Please feel free to ask any questions about the trip, we are an open book! Ready to check out some of the other destinations we’ve visited? Head over to my destinations page. We’ve covered far away places from Normandy to Croatia and everything in between. If you would like to follow along with us day by day you can follow @packmoreintolife on Instagram or on Facebook or sign up for my newsletter! I would love to hear from you! Disclaimer: Pack More Into Life is a participant in the Amazon Services LLC Associates Program, an affiliate advertising program designed to provide a means for sites to earn advertising fees by advertising and linking to amazon.comand its partners. Amazon and the Amazon logo are trademarks of Amazon.com, Inc. or its affiliates.